What didn't they sell? The Year was circa 1950. I was born in 1946, my parents where George and Nellie Lowe. My older sister Brenda, and I, were born at 1 Back of 255 Farm Street Hockley Birmingham. Dad was a Sheet Metal worker by trade, and also a road bollard cleaner (part time I believe). Mom was a Capstan Lathe operator for Lenches (Birmingham) Ltd, Dad decided to "Have a go", on his own, as it was put in those days, I cant quite remember if Mom was still working full time. Dad set himself up in our cellar making good use of his skilled trade, he made hearth kerbs, these were designed to stop the hot coals from falling onto the carpet. In our case the Lino! a commonly used cheap floor covering. The kerb was made of wood and covered in metal then beaten with a hammer to give it a more expensive look. The kerbs where made in three pieces, that's where mom came in, she would be upstairs in the kitchen-come living room, with a constantly thumping hand press on the table, pressing out the fancy joints that fixed the three parts together. A short time later dad started making children's "sit and ride" horses out of wood. These had four wooden wheels, a push handle, and a plastic covered foam filled seat. The head had two handles, and some kind of material for a mane. This was dad's start, to taking us out of hard times. His next step was to use some of the profits, to rent lock up premises in Great Russell Street, Hockley. The business was now taking off quite well, he had two employees, and was supplying to the trade. Dad went to the pub one night, he came home a bit tippsy to put it mildly, and said he had bought a Humber Super Snipe car from someone in the pub. Mom went down the entry to have a look, and sure enough there was the car. Dad had never driven a car before but he had managed to get it home, you didn't need a driving licence in those days! 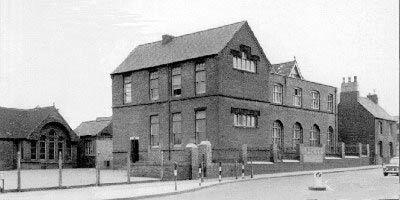 My sister and me, had by this time started school at St Mathias, Wheeler Street, a very good school. I enjoyed my time there. Not being too long after the war, dad realised that there was now a market for household goods, as items were now becoming available, he rented an old electrical shop at 122 Wheeler Street. The shop was fully stocked with electrical equipment, and dad held a sale, and sold off the stock very cheap and very quickly. Dad then went to Stoke on Trent, to The Potteries, in an old open backed lorry, with a tarpaulin sheet, and stocked the shop up with crockery and china. 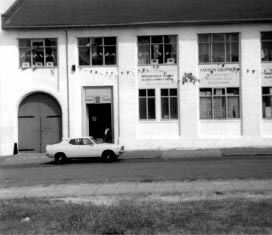 Later the business was extended through to Wilton street which was at the rear of the premises, also taking in Cassidys Motorcycle Repair Garage at the side. 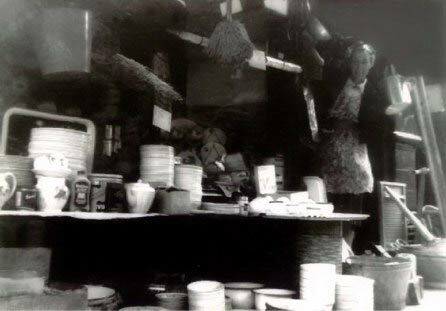 At this time we also used to supply the rag and bone men of the area, then known as " Tatters," with crockery, to exchange for clothes. Dad would buy seconds, and Lump Pottery from Stoke on Trent, to supply to them, in order to keep the price down. I can see the lines of horses and carts now lined up in Wilton Street, waiting to be served. Fishing clubs would buy their prizes from him. At this time I remember shops in the immediate vicinity such as Johnny Vella the jeweller's, Chamberlains toy shop, The Slip In Café, Pearks Grocery Shop, Masons Grocery Shop, Charlie Lee the Butcher, who won the football Pools. Also Dr Carolans Surgery, he gave me a few Stitches over the years, he had always got a hypodermic needle boiling away, to sterilize it on a gas ring by the side of the fireplace. I never took my eyes off it hoping that he didn't need to use it. He was very nice man though. Other shops were Dipples Butchers, The Junction Café, Beaty Hadly's Clothes shop. I remember mom saw Prince Charles in the papers wearing a corduroy green flat cap, and just by coincidence Beaty Hadley had one just like it in her window. Mom bought it and I was forced to wear it, well it gave my mates something to laugh at! so much for us being a bit better off financially. I remember my best friend at that time Johnny, he lived up the back in what was known as Dipples Yard. He had Daily Mail boots, he used to take a good run halfway up the entry then skid on the hobnails of his boots, the sparks lit up the entry. I nagged mom for a pair, but she said they where only given to people who couldn't afford shoes. At that moment, I resented us being a little better off financially. Anyway back to the shops for a minute. Up from Beaty Hadleys was Madge Amoses Cake Shop. She sold lovely cakes, but the thing I remember buying most was "Frozen Jubbly's ". Then there was the Chemist, we used to buy Liquorice Roots from there, only because they where cheaper than any other sweets you could buy at that time. There was Cowdrills Bike and Radio Shop. Dad bought me my first bike from Cowdrills, it was a Raleigh Palm Beach, also that's where most people in the area took their radio accumulators, to get recharged. The paper shop next door was where we used to get our comics, The Eagle, Dandy and Girls Own. Dad used to smoke a hell of a lot in those days I used to have to fetch them for him, 50 Players Cigarettes. I remember going in one day and saying to the owner, "Fifty Players", he said "go outside, and tell me what it says over the door". I went and looked, and it was an advertisement saying "Players Please". I went back in and said "Fifty Players Please", I don't think it would work with some of the Kids today though. At another shop, Charlie Pooles, the Barbers, the smell of Brylcream and Singeing to stop you from catching cold. 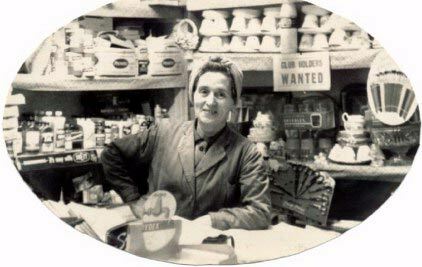 I also remember Mauds, it was a haberdashery shop, if I remember correctly it was between the Grocery shop and the fish & chip shop at the corner of Wheeler Street and Farm Street, she sold all manner of things like thimbles,sewing cotton,zips knicker elastic,knitting wool & needles etc, My mom was a frequent customer, I also remember the lady who owned the grocers next door, she was blonde and only had one leg, she used to get the butter out of a barrel and pat it into squares using two wooden paddles. Me and my sister Brenda weren't allowed to enjoy ourselves in the school holidays, dad would want us to work in the warehouse, even at weekends, although he did pay us ten bob a week in the school holidays. But this was to be put aside to buy Birthday presents for the family. Dad opened another Crockery and Hardware shop, down on the Flat in Icknield Street, Opposite Key Hill Hockley, dads brother Joe ran that one. 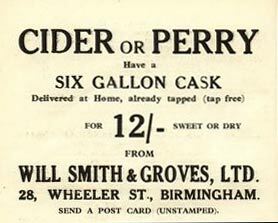 Some years later we moved to Handsworth (very posh), the shop in Wheeler Street was sold to my Uncle and Aunt, Sydney and Mary Danks, who kept the shop for a number of years.